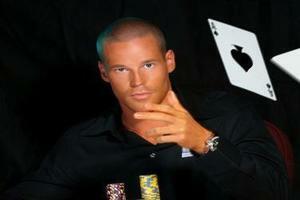 Full Tilt Poker pro Patrik Antonius has been one of the most consistent winners in the high-stakes online poker games over the past few years, but 2010 couldn’t have gotten off to a worse start for the Finnish poker phenom. Through early April Antonius was down roughly $4 million at the Full Tilt Poker tables. All that has changed in the past couple weeks, and Antonius has remarkably gone into the black for the year! A $4 million heater in the past few weeks has Antonius extremely excited about his prospects for the rest of the year. Getting back to even after being down so far has to be a huge relief for him. The only downside is Antonius still trails Tom Dwan by a considerable amount in the Durrrr Challenge, which will cost him an additional $500k if he can’t make a miraculous comeback that would be in excess of his current winning streak. Antonius is not alone in his rollercoaster 2010, many top pros, including Dwan, have had huge swings at the poker tables since late last year: It seems the impact of Isildur1 has changed the way the nosebleed games are played whether he’s playing or not. This entry was posted on Friday, May 7th, 2010 at 7:29 pm and is filed under Poker News. You can follow any responses to this entry through the RSS 2.0 feed. You can leave a response, or trackback from your own site.